Last month, Pavilions Hotels & Resorts brought a piece of Japan to Hong Kong for the launch of The Ginto Residences. Hosted at Zuma in partnership with Hong Kong Tatler, the exclusive event introduced The Ginto Residences to over 200 investors, socialites and members of the media, many of which were already fans of the world-class ski destination, Niseko. A brand new development valued at US$100 million, The Ginto Residences is made up of 31 private villas and plots released in three phases. 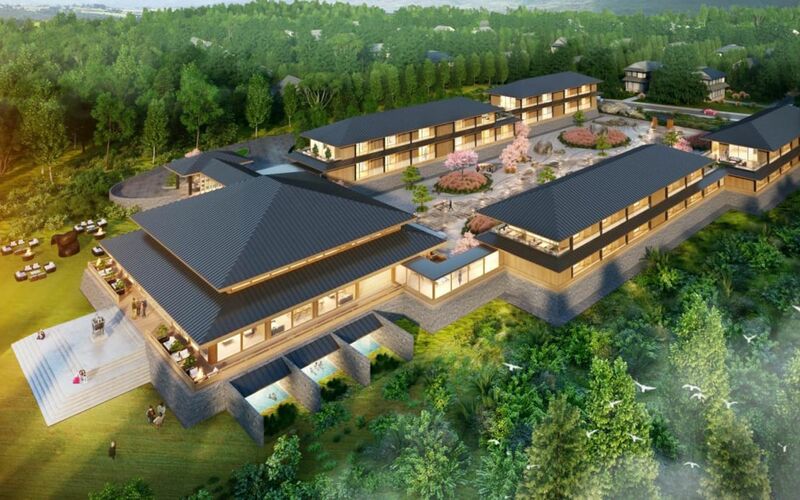 Half of the plots have already been sold, and it’s no surprise thanks to the development’s prime location at Ginto Hirafu. Residents will be living just 800 metres away from Hiram’s powdery white mountains, while Ginto Village offers upscale retail therapy, entertainment and fine dining after a day on the slopes. Owners can either design their own Ginto Residence or choose from existing designs with traditional Japanese features such as fusuma and shoji (wall panels and room dividers)—all with a view of the Ginto woodlands. The completion date for The Ginto Residences is in 2019.